Join us to hear first-hand experiences of nursing polio in the 1950s. 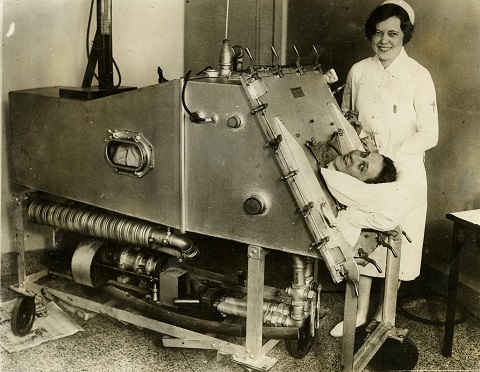 “Extra iron lungs were hastily flown in … Most were not needed ... There were many deaths that weekend.” Join us to hear first-hand experiences of nursing polio in the 1950s, from the frightening and uncomfortable iron lungs in which patients spent their days, to the bonds that developed between children trapped in these “metal prisons” and their favourite nurses.